If you are looking for information on the Vype High School Sports Magazine franchise business opportunity, Vype High School Sports Magazine franchises or Vype High School Sports Magazine franchising , then you have come to the right place. Be a Publisher of high school sports in your market and become a local celebrity. VYPE provides unprecedented , real-time access to the local, regional and national high school sports market, providing a reliable and consistent mechanism to influence. VYPE High School Sports Magazine is the only industry-wide local media outlet focused on today's high school athlete. The quality of VYPE High School Sports Magazine has helped make it the leading publication of its kind. In addition to our full-size, full-color magazine, we provide our publishers with electronic (digital magazine) exact replicas of each issue that can be emailed to a subscription base and increase circulation numbers for advertisers. High School Sports-The Magazine Publishers can feel confident that they are promoting superior products and services to their prospects. In addition to your printed magazine advertising revenue, our franchise system provides access to other revenue streams such as online advertising, subscriptions, reprints, VYPE merchandise sales, and local and regional events such as golf tournaments, 3 on 3 basketball, home run derbies, and punt pass and kick contests. VYPE High School Sports Magazine publishes approximately 12 issues a year covering every school sponsored athletic competition. We promote both our Web site address and our Franchise Opportunity on the cover of the magazine, to help grow national recognition and our team of publishers. All of our publishers will have the opportunity to participate in the National ad program which will deliver national sponsors to the pages of their local magazine increasing their revenue and credibility in their local markets. VYPE High School Sports Magazine Franchisees receive unprecedented support to launch their new magazine. We provide two weeks of direct sales support in each new market by one of our Team Managers. A Start-Up Specialist also spends two to four days in your market planning your distribution strategy. This is in addition to two weeks of classroom training. When you have completed the VYPE High School Sports Magazine Training Camp curriculum, you are prepared to launch a world-class sports publication. VYPE High School Sports Magazine Publishers market their services to businesses serving the local community. VYPE delivers a psychographic audience that includes men, women, boys, girls, moms, dads, grandmas and grandpas. This opens the advertising opportunities up to almost every business in the community and allows them to deliver their message to a broad and loyal audience while showing support for the youth and schools. 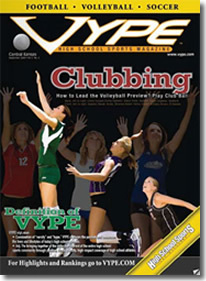 VYPE High School Sports Magazine is not a "brick and mortar" franchise. 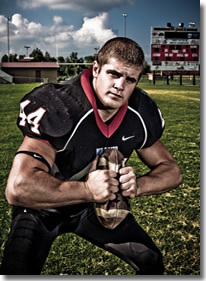 Because VYPE High School Sports Magazine does not require a substantial initial investment, you have the ability to achieve profitability sooner than you could expect from many more expensive franchises. All VYPE High School Sports Magazine Franchisees receive an exclusive and protected territory in which to publish and distribute their VYPE High School Sports Magazine. Sports marketing is a trillion dollar industry. A record number of youth now participate in athletic programs during their prep school years. Area businesses need the exposure that VYPE High School Sports Magazine provides. You will get noticed and become well known throughout your community by partnering with radio and TV media. You'll be the local hero that every one praises and appreciates. Sports. Kids. YOUR Community and Schools. YOU are the publisher of a local/regional magazine that is focused on highlighting the outstanding young athletes in YOUR community. YOU can assist these athletes, coaches and their schools in obtaining recognition they would otherwise never receive, and in some cases, assist them in pursuing collegiate and even professional careers through your publication of their accomplishments. Own a business that allows you to accomplish your financial dreams, participate positively in your community, provide your clients with the most sought after consumer markets, publish an extremely high quality magazine, and talk about sports all day!